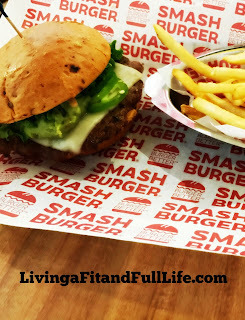 Living a Fit and Full Life: Smashburger Introduces an All New Turkey Burger to it's National Menu! Smashburger Introduces an All New Turkey Burger to it's National Menu! 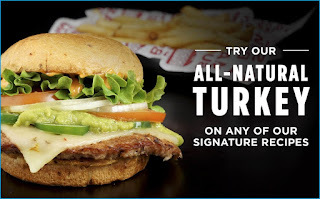 The new turkey burger is the fourth protein option on Smashburger's iconic made-to-order menu, now sitting alongside the company's fresh, never frozen American beef, all-white meat chicken and vegetarian black bean burger options. 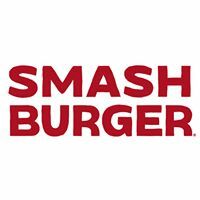 As is the case with all its signature burger offerings, the secret to Smashburger's turkey burger is in the smash. It starts with all-natural ground turkey that is smashed on a 400-degree flat grill to sear in the juicy flavor. To further the new way to burger experience, the delicious turkey burger is served on toasted artisan buns and topped with a selection of produce, cheeses, and the highest-quality condiments. Smashburger introduces an all new turkey burger to it's national menu! I'm a huge fan of turkey burgers, and actually prefer them to regular burgers most of the time. 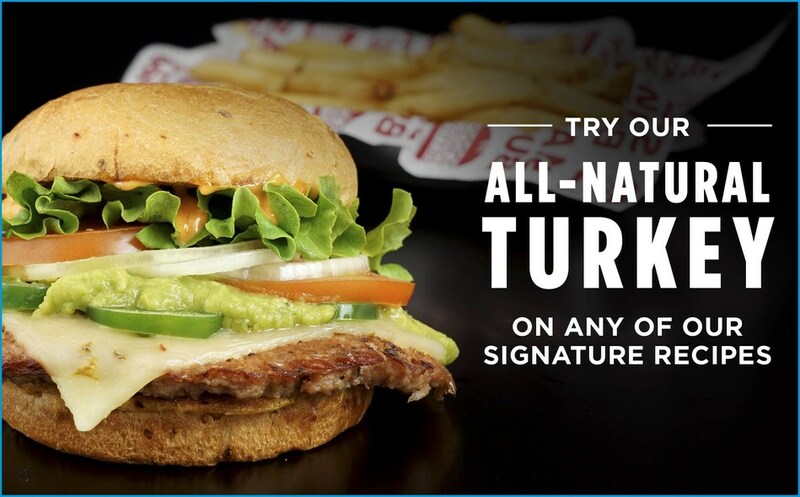 That's why I'm so excited that Smashburger now offers turkey burgers on any of their their signature recipes. Smashburger's turkey burger that I had the pleasure of trying was cooked to perfection. Smashburger's uses all-natural ground turkey that is smashed on a 400-degree flat grill to sear in the juicy flavor. Smashburger's delicious turkey burger is served on toasted artisan buns and topped with a selection of produce, cheeses, and the highest-quality condiments. Smashburger's delicious turkey burger is out of this world delicious and I highly recommend you all give it a try!